The day after Thanksgiving we decided to start some Christmas decorating. The extended family was still gathered together, and several of us contributed to making these tinsel window trees. 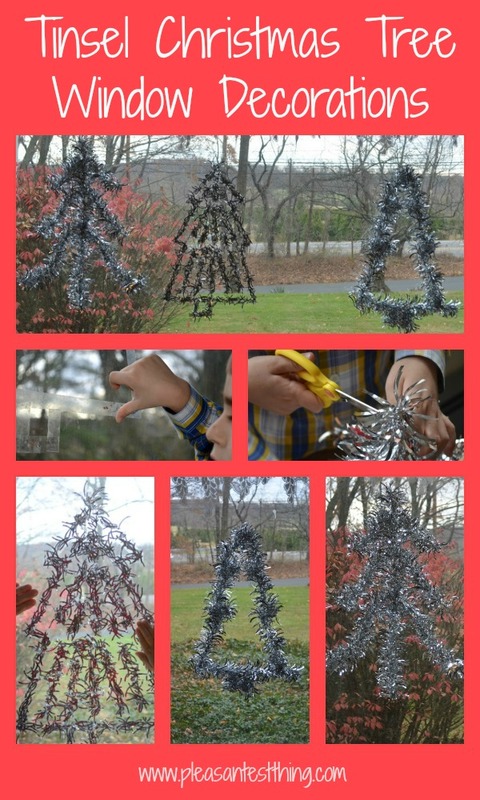 Then we put the tinsel onto the trees. 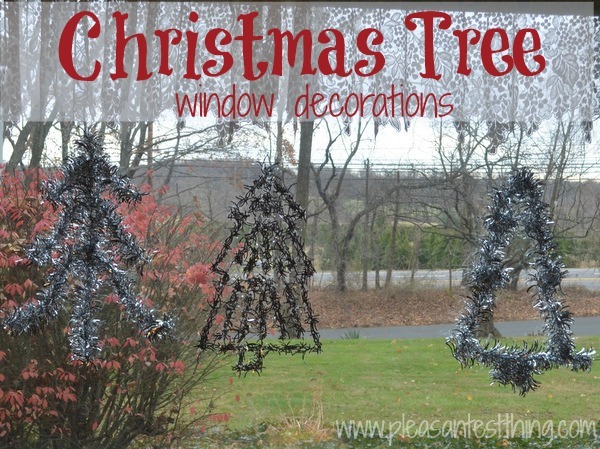 We did this 2 ways: simply cutting strips of the garland to fit the trees (this was what we did for the trees on either end) or cutting little pieces off of the garland and placing them onto the tape (this was what we did for the center tree). Cutting little pieces of the garland is much more time-consuming, but this way my son got some scissor practice, and placing the cut pieces of garland onto the tape turned out to be a great fine motor activity. It was a family effort- my aunt and I helped my son fill out the trees. Everyone was so pleased with how they turned out that we decided creating these trees after Thanksgiving will be a family tradition.